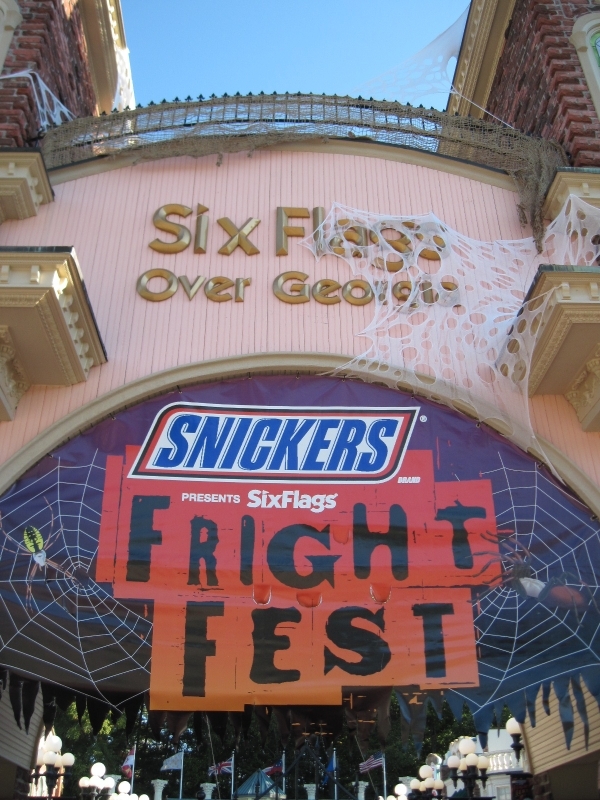 Spend your Hallowen night at the biggest and scariest place in Atlanta, Fright Fest at Six Flags Over Georgia. October 30 and 31 are the perfect times to come to the park with your friends and family to get your last thrills and chills as Fright Fest will be ending on October 31. There will be no place to hide, as zombies and ghouls take over the park one last time before they go back into hiding. Fright Fest offers a wide variety of places to get your scare on including several haunted houses and scare zones located throughout the park. Beware of your surroundings as nightmares lurk around every corner as the dark of night washes over the park. The ghouls are set free for their daily hunting rituals. BEWARE! Don’t let the season go by without showing you’re the bravest and visting the park on October 30 and 31. You’ll be sure to leave with your heart racing!